Samsung Malaysia Electronics has collaborated with Ban Hin Bee Sdn Bhd to launch the 11th Samsung Brand Shop in Bayan Baru, Penang on the 13th July 2018. 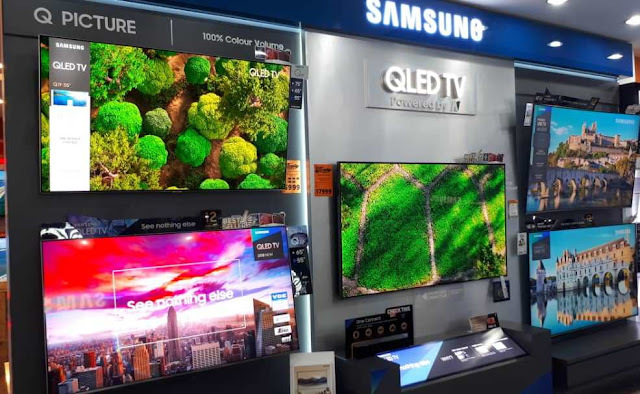 The management team of Samsung and Ban Hin Bee were present at the opening ceremony of the shop, which retails Samsung’s latest collection of home entertainment products, including 2018 QLED TV series, along with other preferred home appliances such as Digital Inverter refrigerators and QuickDrive™ washing machines. The opening represents Samsung’s continuous efforts in expanding its reach to other regions in Malaysia with its products and services. 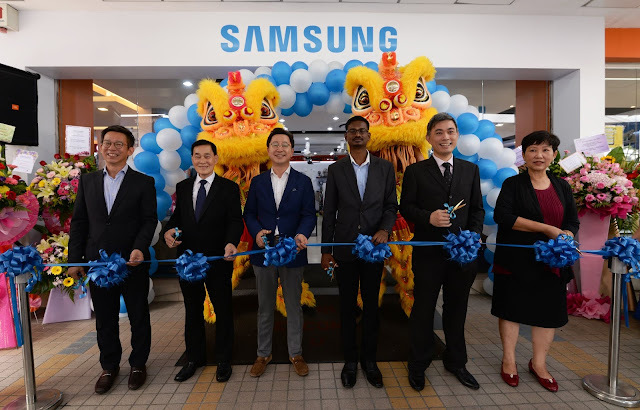 “The opening of the Samsung Brand Shop, in partnership with Ban Hin Bee Sdn Bhd, is a strategic decision that enables Samsung to explore market opportunities in the region and also cater to the lifestyles of its residents. New housing developments are progressive in the area and with Samsung’s products, we aim to deliver the best brand performance and encourage local consumers to embrace the smart home living ecosystem,” said Yoonsoo Kim, President of Samsung Malaysia Electronics. Also present at the event was Mr. Wilson Yeoh, Managing Director of Ban Hin Bee Sdn Bhd. “We have been a part of the Samsung family since 2009 through a steadfast partnership that is built upon a shared acumen of providing the best quality products and services to Malaysian consumers. With the opening of our first Samsung Brand Shop in Bayan Baru, we look forward to enriching and supporting the lifestyles of the local consumers with Samsung’s innovative appliances and home entertainment product offerings,” he expressed. In celebration of its opening, Samsung and Ban Hin Bee are offering special promotions for all customers and household enthusiasts. For the movie buffs, customers can look to enhance their home cinematic experience with a free Samsung 5.1 Ch Panoramic Soundbar, upon purchase of a 65” QLED 2018 TV. Customers who enjoy the culinary arts can capitalise on free cooking tools (worth up to RM1,148) through the purchase of selected home appliances such as refrigerators, washing machines and vacuum cleaners. Visit the new Samsung Brand Shop in Bayan Baru, Penang, today for more details on the opening promotions!